I have ONE LAST SALE to post for you today!! This is really IT, I won’t be offering any more deals on Stampin’ Up product! Christmas Washi Tape from me. 3 rolls of beautiful washi tape! And a fun goodie bag of Stampin’ Up Supplies! Over $25.00 of fun Product. Now its time to SHOP! 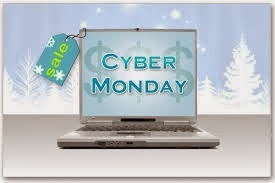 Here are some amazing Cyber Monday Deals that Stampin’ Up is offering 30% today ONLY!!!! And of course Stampin’ Up’s BIG Holiday Sale is ending today as well. You see all the items on the flyer below. This is the last day to take advantage of any of these sales!